The Onslow Arms is a nice pub with wooden floors and exposed brickwork in a canal-side setting. The pub serves home-cooked food and beers from Hall and Woodhouse. Large garden at the front of the pub overlooking the river. Seats at the rear of the pub overlooking the canal. The pub is located on a restored section of the Wey and Arun canal which is popular with walkers. There are plans to fully re-open the canal. 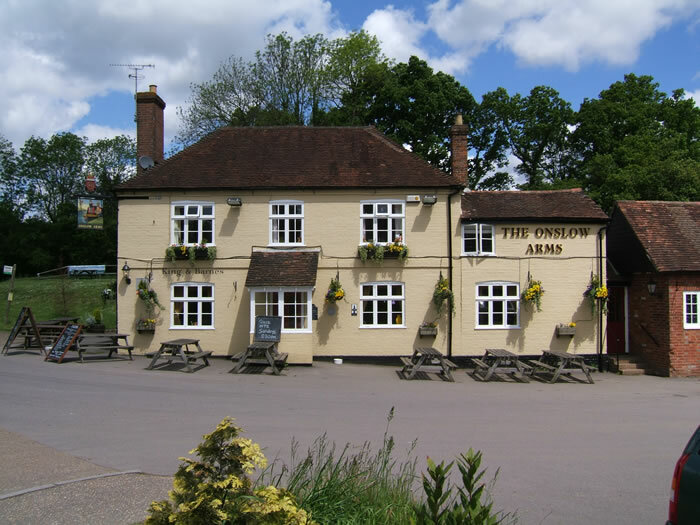 The Cricketers Arms in Wisborough Green or the Limeburners Arms near Billingshurst.